So I’m stuck in the airport overnight on my way home from a writer’s conference in Texas enroute to Montreal. 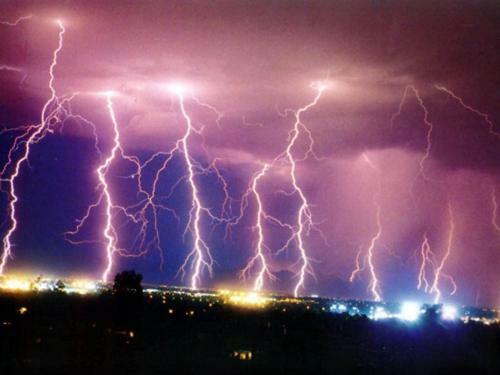 Big storm heading east and flights are cancelled. All of them. The local airport hotels are packed-booked too. My options are few. Quick! Mad dash to the end of the terminal where there were a few scattered club chairs with actual padding. Screech. Detour to a souvenir shop. Buy two blankets—the a/c is chilly— a pillow, some snacks, a drink, and boom. I claimed my space. 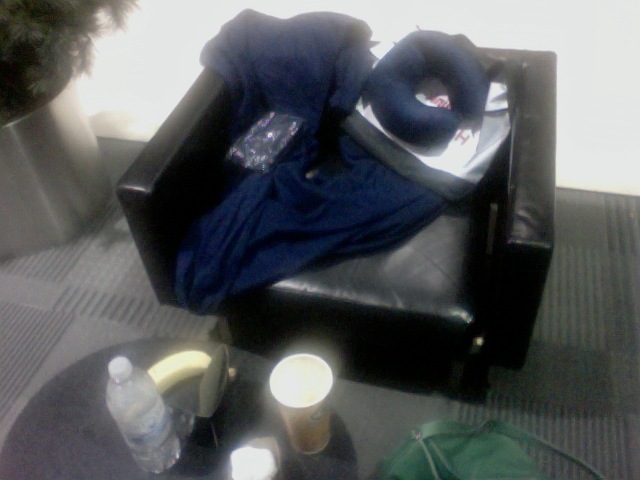 You see, this is not my first overnight at an airport. Frankfort, four years ago, with mother and both daughters. We were ill-equipped. No extra layers. No warmth. No padding. We did have entertainment. 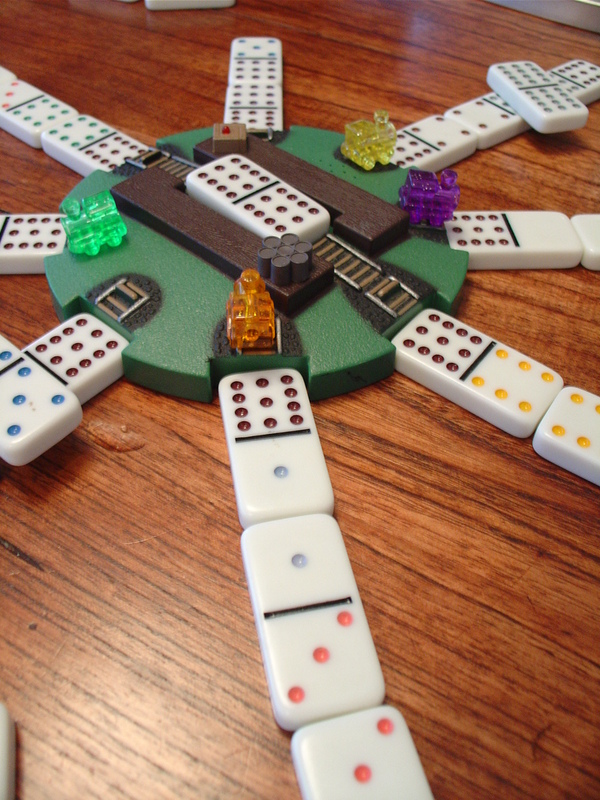 Dominoes. Played Mexican train for hours. We staggered around bleary-eyed , occasionally shivered, and made up ridiculous word games, like taking the first letter off our names and replacing it with ‘h’. So Kim became Him. Jennifer was Hennifer. Lisa was Hisa. The funniest was my mom’s name. Mary Lou. She became Harry Hoo. No matter what letter we substituted, hers was the height of hilarity. Larry Lou, Mary Moo. Dairy Doo. Parry Poo. My other overnight airport stay was not so fun. Mostly because of anxiety. Husband Edward and the girls and I were stuck in the Caribbean. My father had just suffered a heart attack and we were trying to get home as fast as possible to be with him. It was one of those flight-delayed, finally-boarded, wait-in terminably-on-the-tarmac, then forced-to-deplane nightmares that had my kids burst into tears along with several drunk revellers. The drunk revellers took the party back into the over-bright airport, but my dashing darling saved the day. Er, night. Clever man found the airport VIP room, where for $50 we shared a comfy couch in a darkened area and were fed unlimited sandwiches and soft-drinks. Sigh. I’m about to go plug my computer in and read for a bit. Cuddle up with my airplane blanket and C-shaped neck pillow. I’ll tell you how the overnight goes. Tomorrow’s my birthday. Nice present. Huh? What about you? Got any overnight airport stories to amuse me while I’m stuck in Detroit International?